It’s a message you hear all the time, but it’s completely true, and could help you save hundreds of dollars. Contact your energy provider and ask for a better deal! And there’s never been a better time to do it. There are two types of energy contracts – standard contracts and market contracts. If you have never switched providers, or haven’t done so in several years, you are likely on a standard contract. This is a default energy contract and will almost certainly mean you are paying too much. Even if you have switched energy providers in recent years and are on a market contract, if you’re not benefiting from any conditional discounts with your plan, you are again very likely to be paying more than you need to. Plans with conditional discounts help reduce overall energy costs, but they typically only last for a year or two, after which you will go back to paying full prices. Getting a better deal on your energy supply will not be as difficult as you might think it is. Provided you have confidence in yourself and what you’re saying, and prepare properly in advance, you could cut your power bills significantly in a matter of minutes – and that’s not just an empty promise! It’s one big game, and here’s how to play it. The first step to getting a better energy deal is to do your homework. Yes, that’s another message you hear all the time, but again, it’s completely true. Simply calling your energy company and asking for a better deal is unlikely to work as well as it could if you don’t go armed with information about the better deals you could get elsewhere. Make sure your energy provider believes you’re going to leave if they don’t do something drastic. You’ll be amazed what they can do. If you’re not able to quote a realistic figure of what you could save by switching, at the very least see what conditional discounts are being offered by other providers and go armed with these details. This brings us on nicely to the next point. With the information you have gathered, set your energy provider the challenge of matching the highest conditional discount you have found elsewhere. If they can’t do this, tell them you’re going to switch. Your energy provider is not going to drop the rates it charges you for power with the contract you have, but it can increase the discount it offers you on those charges – this is how you will save money. You need to be clear in your mind about what you want to get out of the conversation, and be willing to push for it. If you’ve seen a 20% discount from another energy provider in your area, tell them that’s what you want. The biggest energy discounts do not always mean the biggest savings, but being able to quote a tempting offer puts you in a good position. Realistically, your existing provider will have a limit as to what they can offer you – make sure they reach that limit. Chances are your provider will simply try to appease you with a modest discount on top of your existing energy rates. As we mentioned a moment ago, they won’t reduce the rates on your existing plan, but they could offer you a new one! Some energy companies have been known to keep ‘secret’ plans in reserve as a last ditch attempt to keep you as a customer – and you guessed it, this is where the cheapest deals will be found. Not only could your new plan have much cheaper rates, but you could also get a healthy discount on those rates. So, make sure you push your provider to offer you its absolute cheapest deal. 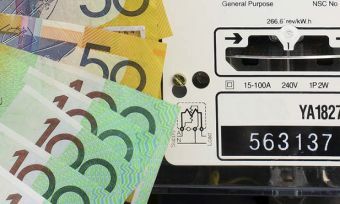 Determining the cheapest plan for your specific needs could get a little complicated if you have a flexible pricing tariff, but if you have a single rate tariff like the majority of Australian households, your provider should know what it is! If you’ve been successful in negotiating improved terms, ask your energy company to backdate the new discount it is now offering you. Don’t push your luck and demand for your bills from two years ago to be backdated with the discount, but it is perfectly reasonable to ask for the discount to be applied to at least your most recent bill. Energy discounts are usually just introductory offers to get you to sign up with a new plan. When the benefit period expires, you will start paying the full, non-discounted rates. Tell your provider you understand exactly how this works, and ask them to give you an ongoing discount that will not expire after a year or two. You may also want to ask your provider about the different tariffs available in your area. As we mentioned before, finding the cheapest plan for your needs can get complicated, and it could be that a flexible pricing tariff would work for you. The energy companies tend not to promote their flexible pricing tariffs too often, so make sure you ask about the rates on offer, especially if you work days and use most of your energy at night. You will only be able to access flexible pricing tariffs if your home has a smart meter installed. Sure, you’re not happy with the price you’re paying for energy, but don’t take it out on the customer service representative you speak with. Being rude gets you nowhere. You’re far more likely to get a great deal if you’re polite, but also insistent. You may not think it given the way prices continue to rise, but the energy market is more competitive than ever, and energy providers are desperate to keep you as a customer. It’s in their interests to keep you on board, even if it means you’re paying less than you were before. Keep this in mind when you go to negotiate a better deal and you just might get what you want.